The Law Enforcement Torch Run would not have been able to raise $3.3 million in 2013 without the efforts of departments across the state – both large and small. The Maple Park Police Department definitely falls into the small category with just 7 officers. However, that department is credited with raising the most money of any department in the state despite being up against some large, statewide departments. So, how does a department that only has 1 full-time officer raise $63,133? With the help of dedicated volunteers Jim and Colleen MacRunnels. Colleen MacRunnels had raised money for the Torch Run before she retired as an assistant warden with the Illinois Department of Corrections. After retiring in 2010, Colleen wanted to continue supporting the athletes of Special Olympics. So, she and husband Jim set out to adopt a department that wasn’t participating in the Torch Run. After receiving the blessings of Police Chief Mike Acosta, the mayor and members of the village board, the MacRunnelses began raising money for the Torch Run as liaisons of the Maple Park Police Department. The first year, they raised about $25,000. In 2013, just their third year, they blew away their goal of $50,000. Not content to just be the top fundraising department in the state, the MacRunnelses and Maple Park PD have set a goal for 2014 of being the first department to raise $100,000 in a single year. The MacRunnelses have been so successful by “marrying our two passions – hunting and shopping,” said Colleen with a laugh. 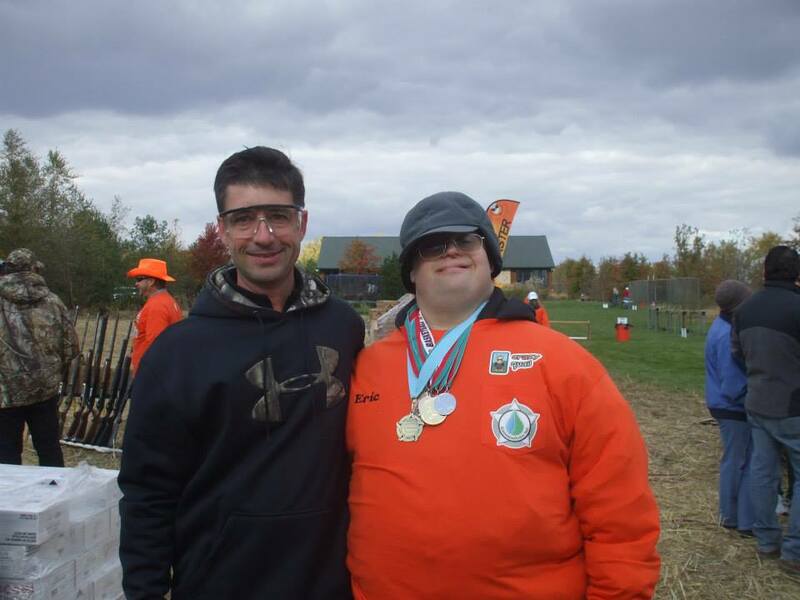 Pulling for Special Olympics – This sporting clay shoot in May has grown from 25 friends in its first year to 300 shooters in 2013. Participants visit five stations that mimic various shooting conditions and raised $38,000. At all events the MacRunnelses coordinate, community support is key. 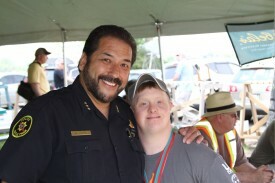 They have developed strong relationships with members of the community who they can count on for support, be it monetary, supplies or prizes. And always, the athletes are front and center because they feel it’s important for event participants to meet the people for whom they are raising money. In addition, they have a core group of volunteers who help them run their fundraisers. “We have a lot of dear friends who are now hooked” on supporting Special Olympics, said Colleen. Both Jim and Colleen agree that thanking those who have helped is very important. They host a cookout at the end of the year for volunteers, Special Olympics families and sponsors where they present plaques to sponsors and say Thank You to all involved. What advice do Jim and Colleen have for other small departments looking to get involved in the Torch Run or wanting to increase their fundraising efforts? “Small communities and small departments have the heart to make it happen,” said Jim MacRunnels. 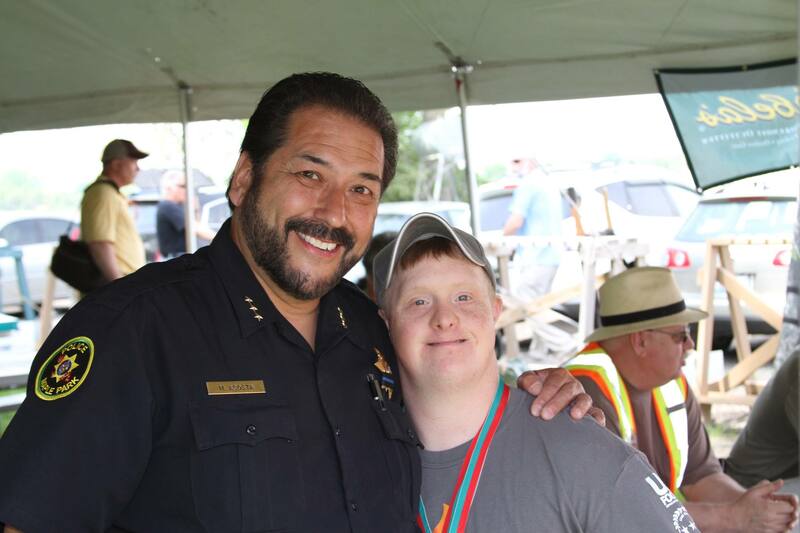 View photos from Maple Park PD for Special Olympics events on Facebook.